Android users! Please install the latest app version. 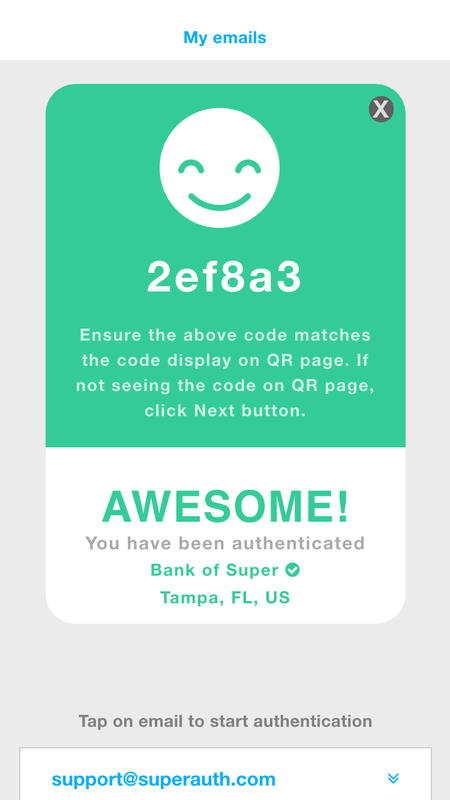 Verify that the code below matches the code in the app. 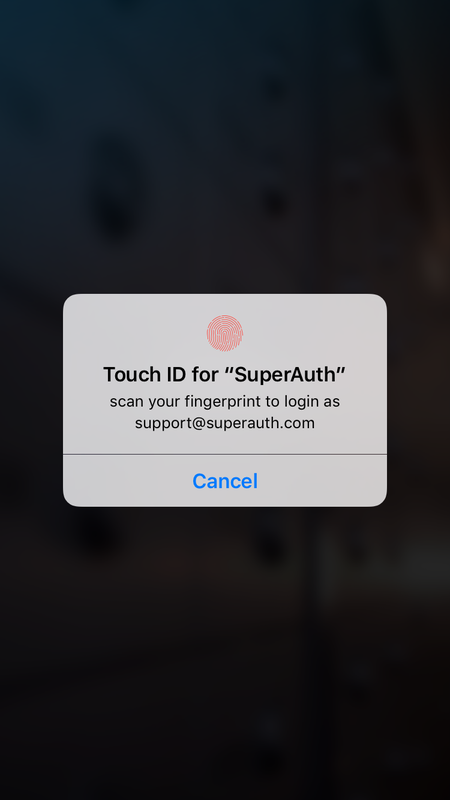 SuperAuth is an app and an secure authentication server. Download the app, pair it with your email addresses, and use your device's fingerprint ID system or pin to securely log into any SuperAuth enabled service. Avalible for free from the Apple App Store, and the Google Play Store. Sign up with your email and your details. 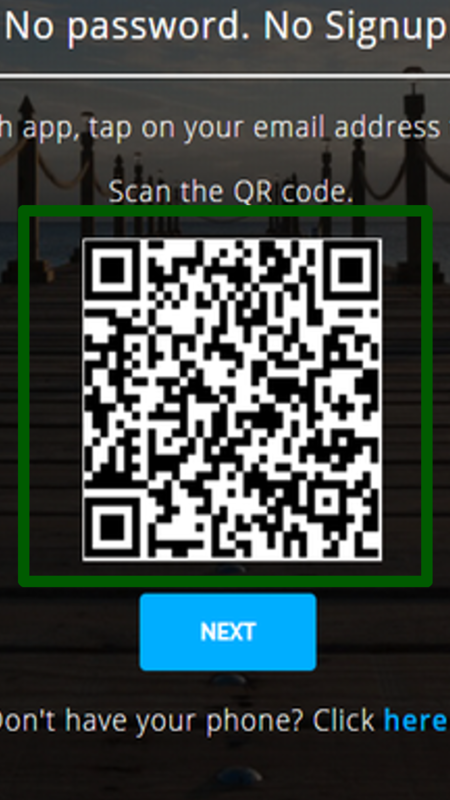 When you find website or app with a SuperAuth button, tap it and scan the QR code you're given with the SuperAuth app. The app will ask you (nicely) for your beautifully unique fingerprint. Give it the finger and watch the magic happen! You can also use your pin to login. The app will show you a unique ID code, and the website will show you the same code to let you know you're safe and secure. 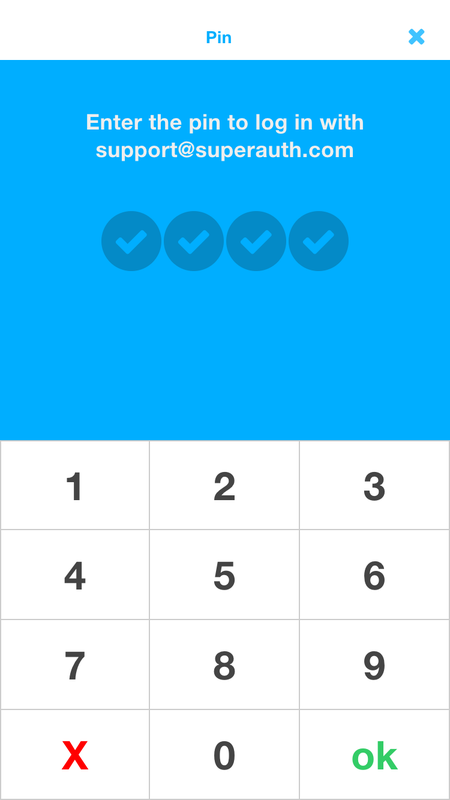 SuperAuth has been designed to be easy for users and developers, and impossible for hackers. Your data is only ever saved on YOUR device. Heck, never USE a password ever again! SuperAuth generates a new secure password for you ever login. If you don’t have your phone with you, we'll send you a temporary login link to your email with a simple passcode. SuperAuth is built on top of the best in the industry encryption. Your information is never stored the same way twice. No passwords required Heck, never USE a password ever again! SuperAuth generates a new secure password for you ever login. No Phone? No Problem If you don’t have your phone with you, we'll send you a temporary login link to your email with a simple passcode. Super Secure SuperAuth is built on top of the best in the industry encryption. Your information is never stored the same way twice. Email-based SuperAuth registers your email address or addresses with our server, so you can log into work and personal systems easily. No Registration Simply by using SuperAuth on a system you've never used before will allow you to register without filling out forms! Login Anywhere SuperAuth isn't just for the web. Use it to log into other apps, kiosks, and smartTV application safely and securely. 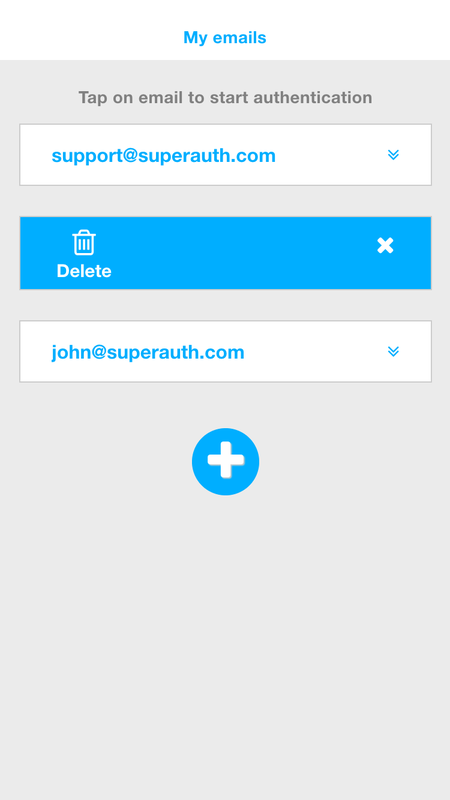 SuperAuth registers your email address or addresses with our server, so you can log into work and personal systems easily. 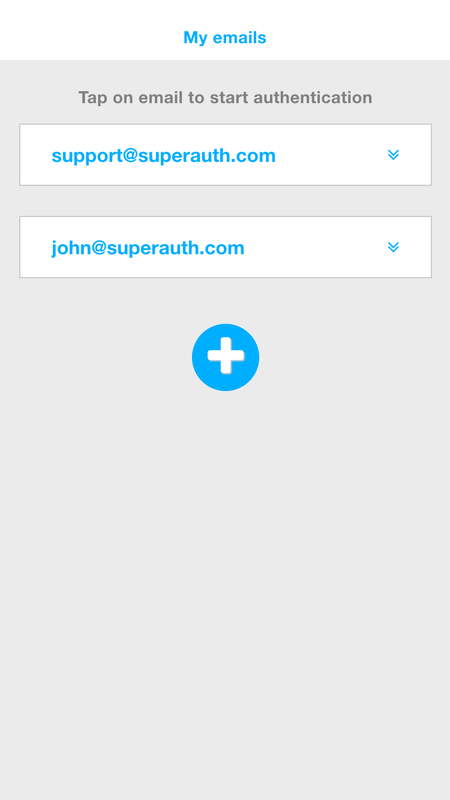 Simply by using SuperAuth on a system you've never used before will allow you to register without filling out forms! SuperAuth isn't just for the web. Use it to log into other apps, kiosks, and smartTV application safely and securely. © Copyright 2019 Super Auth Inc.